I've always felt like September is the perfect time to set new goals and resolutions. Less pressure than the New Year alternative and, to be perfectly honest, I'm desperate for some sort of order and routine after the summer holidays. As much as I love the relaxed summer vibe, you really can't beat a good old list. It usually takes me a few days to get back on track though, so I'm always on the lookout for ways to make school mornings go as smoothly as possible. 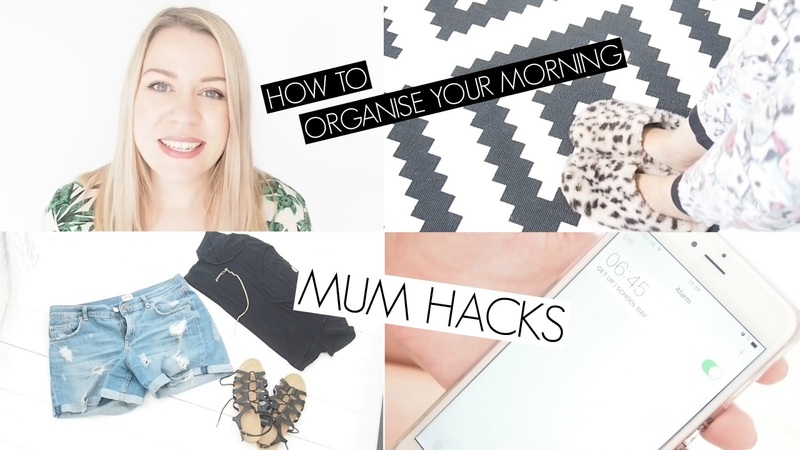 Here are my top tips for organising my mornings. Feel free to share yours below, I'd love to hear them. Some great tips here that will be handy for us when my son gets to preschool age. Oh these are good tips. I need to get better organised in the am. It can be really tough at times so this is a great post to read.